Lyme disease is the most common tick-borne illness in North America and Europe and is caused by the bacterium Borrelia burgdorferi. Deer ticks typically carry the bacteria, which they spread to humans while feeding on their blood, but other insects including mosquitoes are also implicated. Some people will experience a rash in a in the shape of a bull’s-eye around the site of the tick bite, while others who have been bitten never see a rash at all. About 25% of people will experience flu-like symptoms which they usually do not associate with being bitten. So, with no clear indicators that a tick bite has occurred, most people go untreated until more serious symptoms begin to prevail. Flu-like symptoms - Fever, chills, fatigue, body aches and a headache may accompany the rash. Joint pain - If the infection is not treated, bouts of severe joint pain and swelling, weakness and arthritis may occur, particularly in the knees. 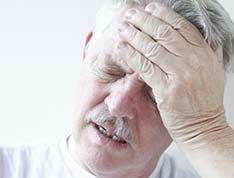 Neurological problems - In some cases, untreated infection resulting from Lyme disease may result in inflammation of the membranes surrounding the brain (meningitis), temporary paralysis of one side of the face (Bell's palsy) and weakness, numbness, tingling, shooting pains or burning in different parts of the body or limbs. Considered one of the top Lyme Disease Clinics in the nation, we frequently have patients fly in from around the world with a myriad of conditions. Some of these patients are seeking expert diagnosis and treatment for Lyme Disease and others for unexplained, unresolved health issues. Many patients are startled to discover their poor health is a result of having Lyme Disease. With over 15 years of treating Lyme Disease, Dr. David Minkoff is considered a world-renowned Lyme Disease expert and is routinely interviewed by the media and asked to speak at international Lyme Disease Conferences to discuss the current state of Lyme Disease, his breakthrough treatment protocols and patient success stories. He has developed a uniquely effective, multi-protocol program for treating stubborn Lyme Disease infections, while also simultaneously strengthening and rebuilding the patient's health and immunity. If you have been to other doctors and are not happy with the Lyme disease treatment you are receiving or if you have a stubborn health condition you feel may be attributed to Lyme disease, you owe it to yourself and your family to get a Lyme disease test to confirm a diagnosis. Please watch the patient videos below and read some of the testimonials further down the page to see how many patients were suffering due to lack of proper Lyme treatment and how their lives were transformed after proper diagnosis and effective Lyme disease treatment. Contact us at 727-466-6789 or make a request online. Nothing says it better than our wonderful patients who are willing to share their stories about their treatment and recovery from Lyme Disease. Please be sure to also check out our Lyme Disease Treatment Testimonials and hundreds of patient reviews poosted on Facebook! If you or someone you love has Lyme Disease and are seeking effective treatment options, please contact us at 727-466-6789 or contact us online. Singer/song writer, Avril Lavigne has released her first new song in about 5 years and it's about her struggle with Lyme Disease. Doctors had initially told Jackie Dube, that her symptoms were psychosomatic. After years of hearing that, but dealing with my eyes swollen shut, a dislocated jaw and shoulder, fistulas in my thighs, I was finally tested for Lyme and was positive. People in the United States are already aware of the dangers of getting bitten by a tick that carries Lyme disease. Recently a new tick danger arrived on the scene. 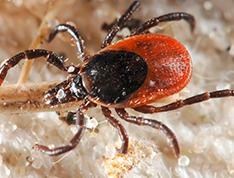 A native of Eastern Asia, the bush tick or longhorn tick has recently been found on livestock in NJ.